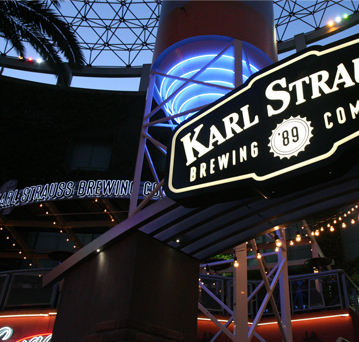 Ever since I moved out of North Hollywood I don’t go to Karl Strauss Brewery as often as I’d like. Once in a while I’ll make my way back to Citywalk with hopes of trying a new beer or two. I found myself at Karl Strauss this past Wednesday and they had a couple of beers on tap that caught my eye. There was a couple big guys on the beer board, so I decided to start it simple and go with a Pale Ale. 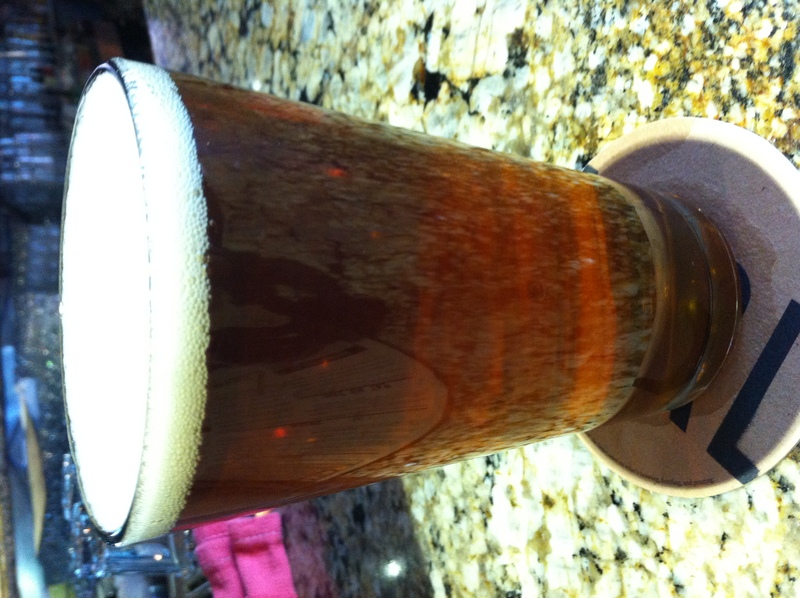 CITYWALK PALE ALE is an American Pale Ale. **Since this was a “Brewer’s Choice” beer there was no info present for it. The beer pours an inviting amber color with a milky layer of foam. Faint lacing is left behind as you drink. I was really shocked by how sweet the nose smelled on this beer. Strawberry, grapefruit, and tangerine are all very forward. There is a hint of pine and faint toffee notes. Let’s change gears again here for the completely opposite taste. A short blast of pine segues into a vegetable flavor (green beans/asparagus). There is a rubbery flavor that maintains throughout that is similar to chewing on a rubber band (yes, I’ve done that). Tangerine is present, but you really have to search for it. This is a unique beer, but I was expecting the big fruit notes I detected in the nose. Mouthfeel is light to medium. It goes down smooth, but dries out your gums. Citywalk Pale Ale is a very different beer. The nose and taste were both unexpected and yet unconnected. If I didn’t know better I’d say someone switched my beer between the smelling stage and the drinking stage. Not horrible, just all over the place.